This lecture is no ordinary lecture. This lecture is about a book by David Fischbach and a sentence by Paul Valéry shown as a montage. The montage is a collection of quotes and texts about the image, the page, the word, the silence, the pause, the quiet, the sound, the hearing, the composition, the constellation, the rhythm, the noise, it’s about white and black and the beginning and the end, about the space, the point, the line, the surface, the construction, the stars, the sky, the people and the bees, about the boundless opportunities, and about the freedom and the art of bookmaking. 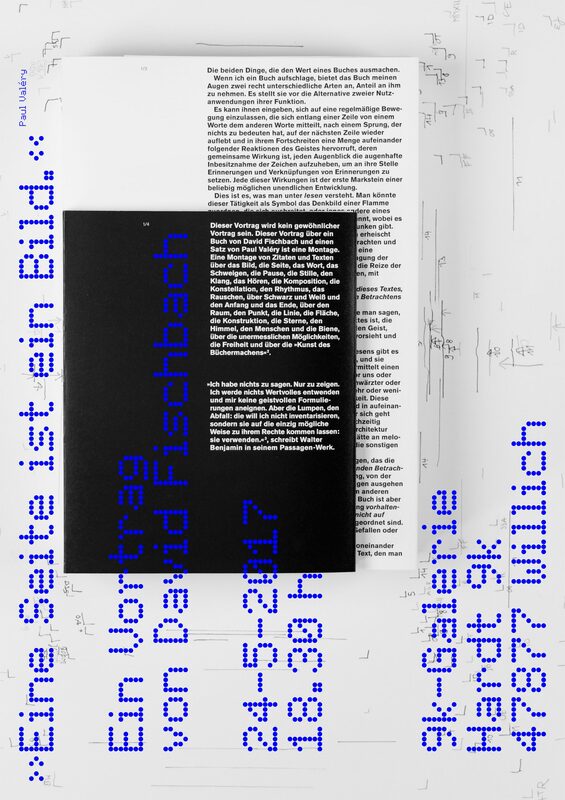 The premiere of the lecture took place on 13 July 2016 at 3:30 pm in the lead typesetting workshop at the University of Applied Sciences, Düsseldorf. On 24 May 2017, there will be a second opportunity to hear and see the lecture in the 9k-Gallery.